PORT VILA, Vanuatu — The Republic of Vanuatu is a small island nation located in the South Pacific Ocean just east of Australia. This country is home to almost 300,000 people and a variety of distinct, native cultures. Vanuatu is known for its thriving tourism industry, but the nation’s poverty is often overlooked. Of its population, 12.7 percent live below the national poverty line. Compared to other Pacific countries, Vanuatu has a low poverty rate. However, the country still recognizes poverty as an issue that needs to be addressed. Although the state of poverty in Vanuatu may not seem severe, it still affects almost half of the people in some way. In 2016, the proportion of Vanuatu’s population that had access to electricity was 57.8 percent. The nation’s tourism industry does help to alleviate the effects of poverty in several ways. Here are the three ways tourism impacts Vanuatuan poverty. Tourism has a significant influence on Vanuatu’s economy. Their economy is vulnerable to fluctuations as the world commodity prices shift. The country is also prone to natural disasters. Within the last year, Vanuatu had 150 earthquakes. The average, long term, annual losses from tropical cyclones and earthquakes is $48 million. Both of these factors contribute to the unpredictable status of economic stability in Vanuatu. Being one of Vanuatu’s major industries, cruise tourism generated $24 million for the country in 2016. It is estimated that an additional $13 million is accumulated through indirect benefits of tourism — for instance, when tourists spend money at local shops, restaurants and the like. There are hundreds of local businesses that benefit from tourist shopping. It is estimated that 427 Vanuatuan shops and businesses are directly involved in the tourism industry. In 2016, the total contribution of tourism made up 44.5 percent of the country’s GDP. The tourism industry improves Vanuatu’s infrastructure. In early Sept. 2017, the Seafront Beautification Project was completed in the country’s capital, Port Vila. This project was an effort to rejuvenate the city, as it is a popular tourist destination. As a result of this project, boardwalks were created, the beaches were cleaned, playgrounds were constructed and coastal protection was strengthened. This program was funded by the New Zealand and Vanuatuan governments and is valued at $17.4 million. Although this program positively impacted the city’s infrastructure and economy, it failed to support the country’s rural regions. The Vanuatu Strategic Tourism Action Plan 2014-2018 (VSTAP) outlines the country’s priorities for handling tourism, but it also includes plans to develop rural communities. This plan emphasizes that electricity is too expensive for operators to sustain. As a result, Green Tourism became a key strategy of VSTAP. This initiative promotes renewable energy, rural electrification and telecommunications. This plan supports the tourism investment while also bringing electrical infrastructure to rural communities. Vanuatu’s employment status is positively impacted by tourism. As the tourism industry grows, more local jobs are created. In 2016, the total contribution of tourism and travel related jobs was 37.9 percent of total employment. This figure includes jobs that also indirectly support the industry. This percentage is predicted to rise to 42.3 percent by 2027. The number of people living in the rural regions of the country is 73.5 percent. 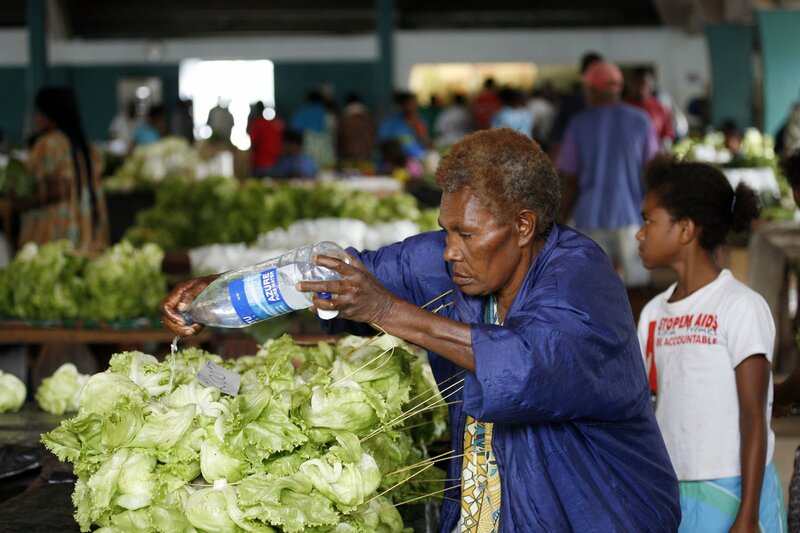 These people are usually the poorest among Vanuatu’s population. According to the most recent data, it is estimated that the tourism industry created 3,800 full-time jobs in rural communities. By creating jobs in rural communities, the poor are able to secure stable incomes. This gives the Vanuatuan people an opportunity to escape poverty. Overall, the tourism industry greatly affects vulnerable communities, giving Vanuatu’s poor the opportunities needed for rising out of poverty.